Not only did they find the name of Jesus, but they found entire sentences, phrases, and complicated patterns that couldn’t possibly be sheer coincidence. Most people had no idea what the Bible Codes even were back then. Grant Jeffrey, Chuck Missler and a few others began to promote Yacov’s work and I had the privilege of spending countless hours with him, recording a television interview with him and attending numerous prophecy conferences. The secular world jumped all over his spectacular discoveries and many pundits began to try and discredit “the Bible Codes.” Crazy claims of denial were made, but ultimately, if you could see through the biblical lens, you could see the remarkable patterns of Scripture as clearly as the noonday sun. FAST FORWARD ALMOST 10 YEARS! 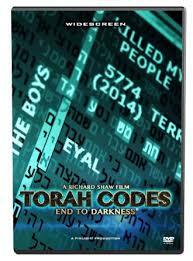 Richard Shaw, L.A. Marzulli’s partner—the man behind the camera and the co-creator of the explosive Watchers DVD Series has returned the Torah Codes to front and center prominence. Richard did it in a completely different way than Yacov. While Yacov poured over the Codes from his scrolls and Interlinear Bibles, Richard got on a plane, flew straight to Israel, and went right to the leading Torah Code experts in the world— famous Jewish rabbis like Rabbi Glazerson, Eliyahu Rips, Robert Haralick and Alex Rotenberg, men who’ve spent a lifetime examining this bizarre phenomenon. The results are truly extraordinary. 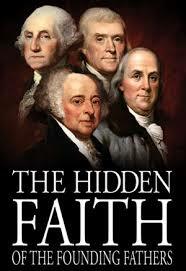 “There is a hidden code in the TORAH, the first five books of the Old Testament. The Code is real and mathematically provable. Incredibly, the Code seems to have information about what is happening in the world today. 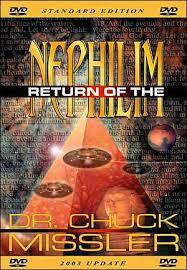 Names, places and world events are all encoded. The TORAH is not a crystal ball but new clues seem to indicate that it was meant for our generation. It’s our time to discover the 2,500 year old secrets of the Torah Codes. Some rabbis make the extraordinary claim that every individual who has ever lived and every event that has ever taken place is recorded in the Torah! 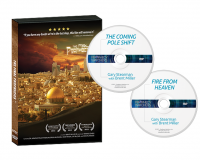 Director Richard Shaw interviews the world’s experts on the Codes, as well as explorers like L.A. Marzulli, IDF Reserve Captain, Dan Gordon, Col. Richard Kemp CBE, and many others; men who know the truth of what is happening in Israel. You’ll walk on the Gaza border and see the actual Hamas missiles used to try and kill the Jewish people and their children. Richard takes an incredible look at an ancient mystery that seems to have been locked away for our generation—the last generation. The film shows actual computer searches and probability results between other Hebrew “monkey” texts and the Torah. Renowned Professor, Eliyahu Rips, tells us how he nearly ended his life to protest the Soviet invasion of Czechoslovakia, and how he went from a prisoner of the KGB to a world-class professor of mathematics in Israel. How he trained as an atheist, then later became interested in the miracles he read about in the Torah and set about to somehow prove it scientifically. The work he and his staff started was suddenly opening up secrets locked away for thousands of years, and proving that there really was “a creator of the world.” Richard takes us to ancient Hebrew expert, Nir Studnitsky, whose research seems to suggest that in the un-edited Hebrew text in the Torah, it refers to the giants, and “cities in the sky.” WOW! Right out of the Watchers Series! DVD200 (This version contains a single DVD and not the additional Blu-Ray DVD.